Seems like it was just yesterday that we were putting the final touches on this shoot. Almost 4 months later and after it’s been featured on Green Wedding Shoes and The Party Press blog, we decided we better share our favorite shots! 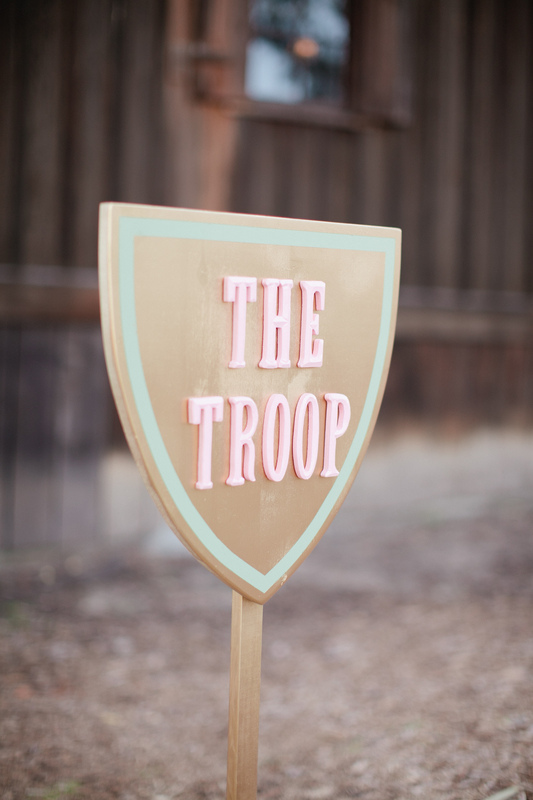 We get so giddy every time we look at pictures from this one, so you would think we would have had this up asap! To be honest I think we just didn’t know where to begin. 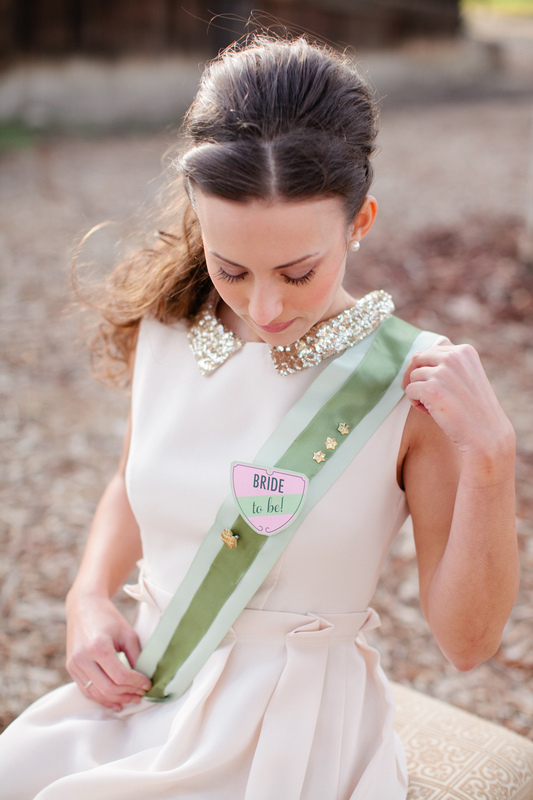 We got SO many amazing pictures back from Katie Scott of Swoon by Katie. Seriously every thing this lady shoots is gold. See below. 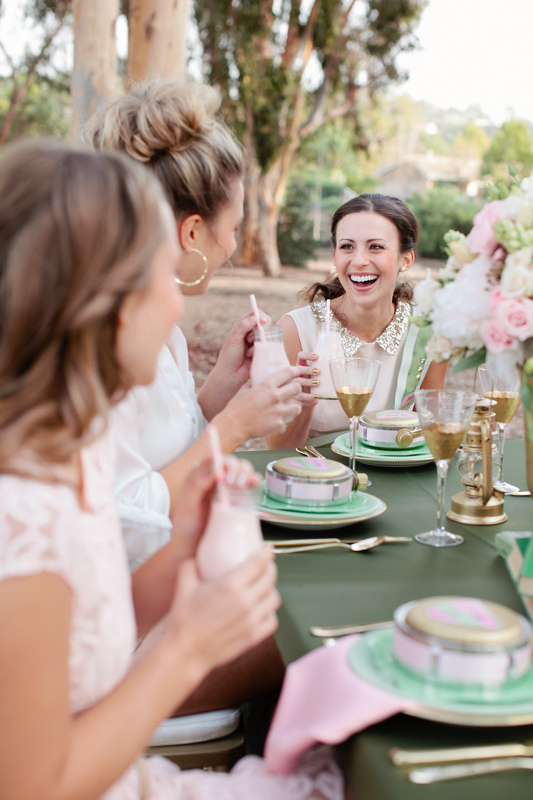 The tablescape was definitely a labor of love. We spent hours spray painting the mini lanterns and the canteens, which were camo print in a previous life, and sewing the pink ribbon around the canteens. We also had to remove all the labels from the glass Strabucks frappuccino drinks that were used as milk milk bottles- but it was all worth it to see it come together! 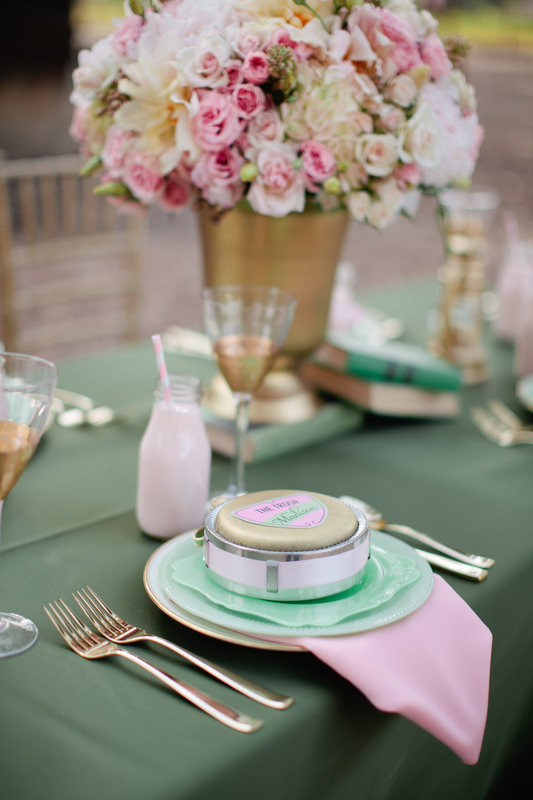 The lovely ladies over at Blush Botanicals created the most stunning centerpiece for the table! They totally got the vibe we were going for and nailed it. 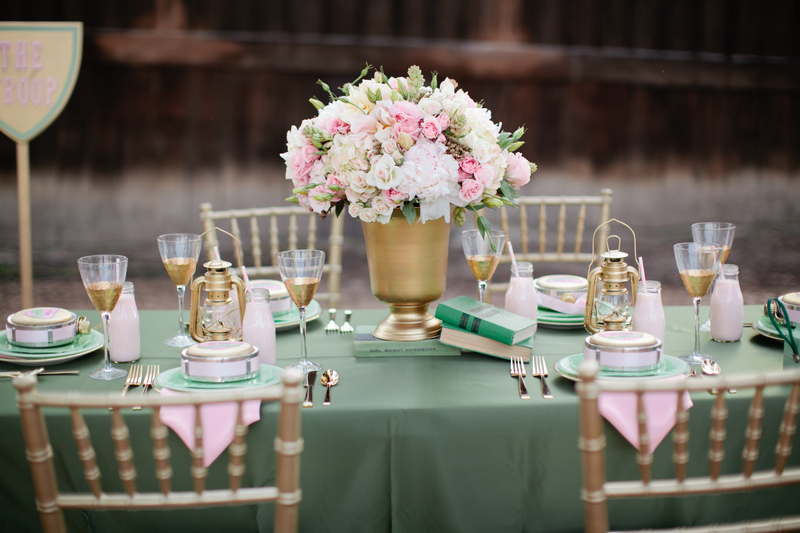 They put together the dreamiest arrangements….. 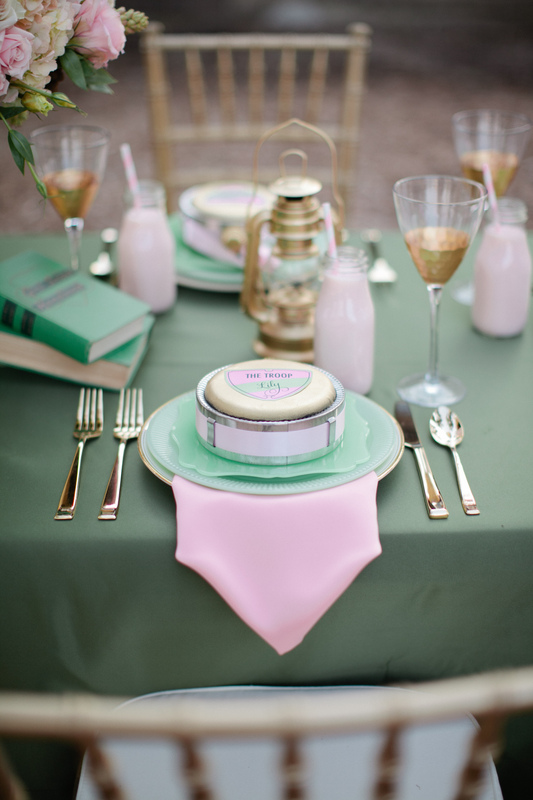 The table wouldn’t have looked so flawless either without the gorgeous linens provided by Wildflower and the Chiavari Chairs from Allie’s Party Rentals. These details definitely helped create the overall vision. Can we talk about how awesome all of the paper elements are!? 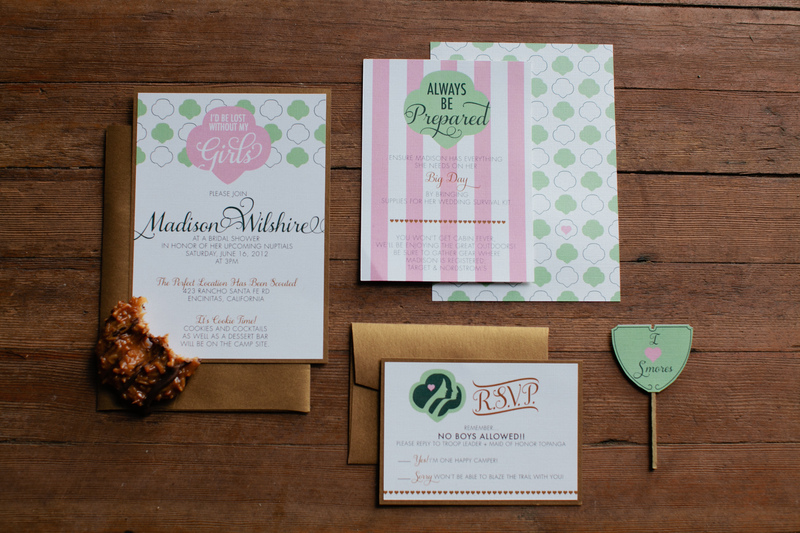 Posh Paperie is amazing to work with- so creative and so enthusistic! 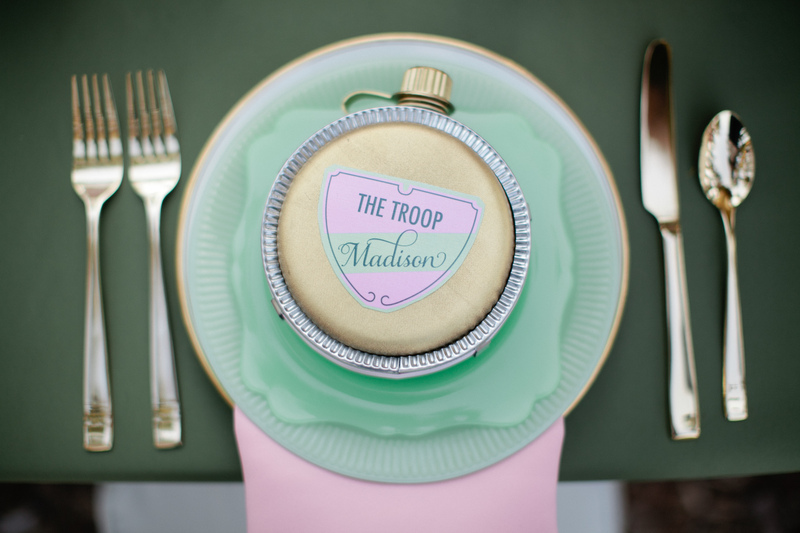 Still obsessed with the invites and of course the little mini Beverly Hills esque dessert markers! We die! Seriously all of these girls are already stunning, but we were so lucky to have 10.11 Make up & Hair there to get them camera ready. They worked their magic and made the girls look flawless. 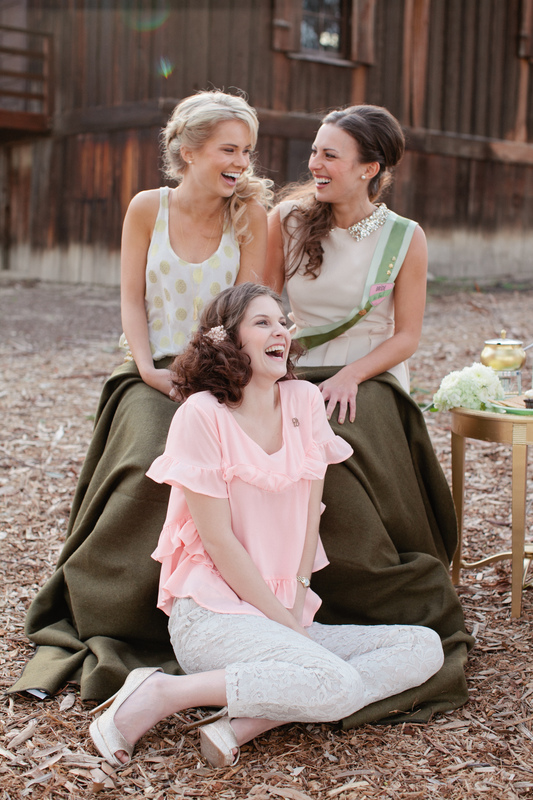 Love how natural and radiant they all look- check out that killer hair! 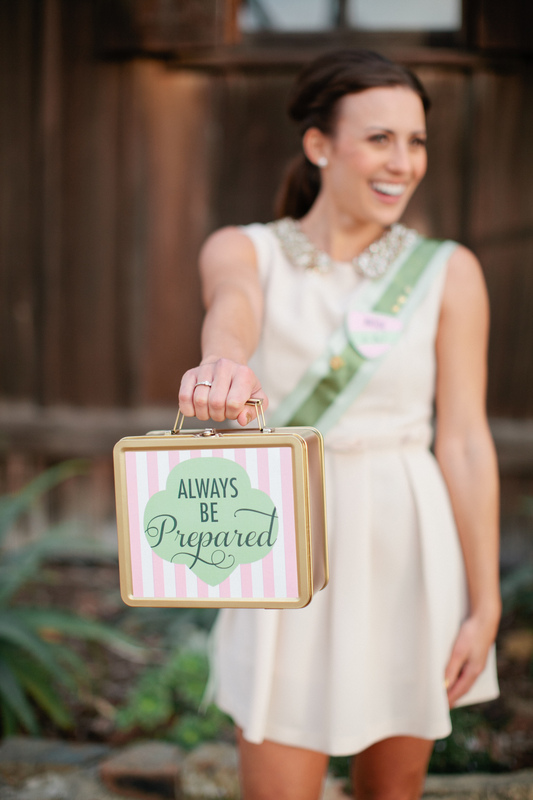 Our Bridal Survial Kit read “always be prepared” and was stocked with mini tools for mini emergencies! 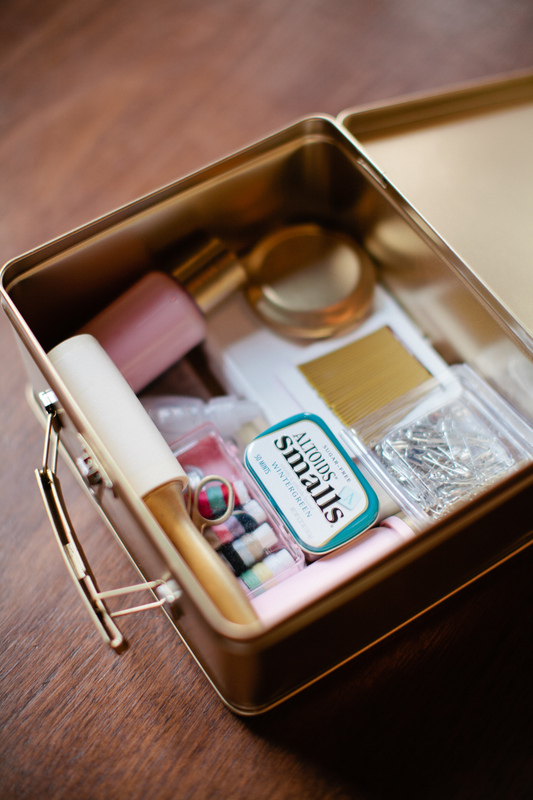 Safety pins, bobby pins, hair spray, lint roller, breath mints, sewing kit, lotion, eye drops, blotting tissues, band-aids, you name it we had it! We can’t sing Stevi from Hey There! Cupcake’s praises enough! She is a true artist! If you can dream it she can make it out of cake. Annnd make it taste amazing too! 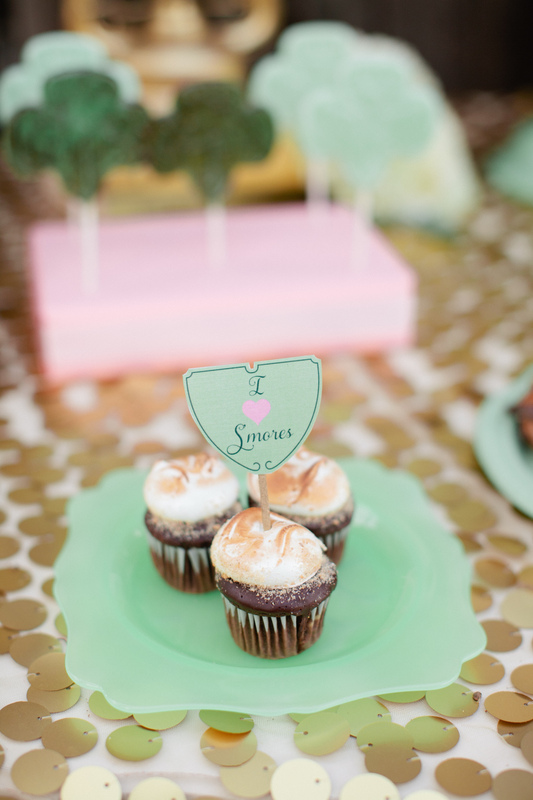 We had “Scout’s Honor Strawberry” cupcakes, “Do-Si-I Do” peanut butter cupcakes, and mini Smore’s cupcakes, in addition to the Girl Scout sash inspired cake! Her attention to detail is unparralled. 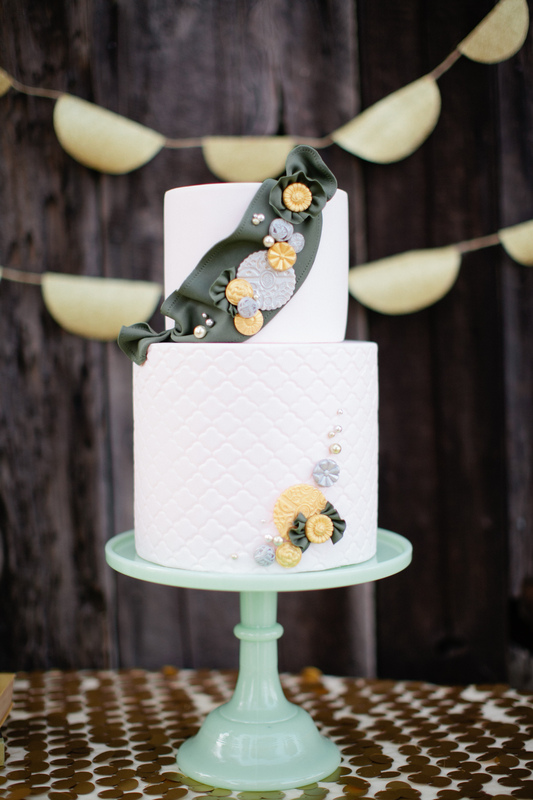 Love the subtle trefoil pattern on the cake. 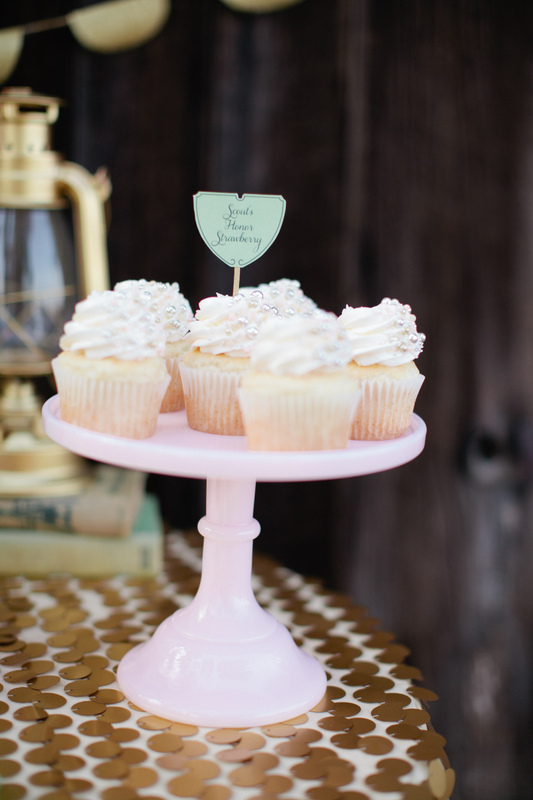 Moss Vintage Rentals really helped set the scene with all of their vintage books, dinnerware, and cake plates. 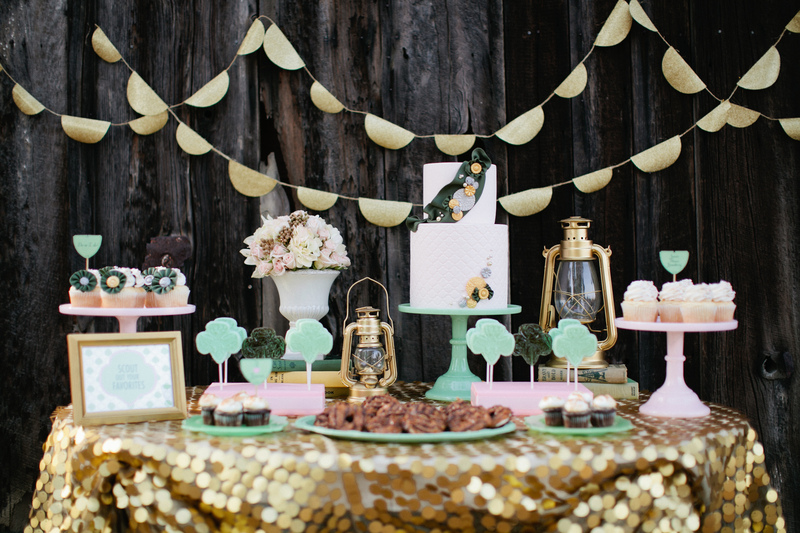 Love the table we got to borrow for the dessert station! 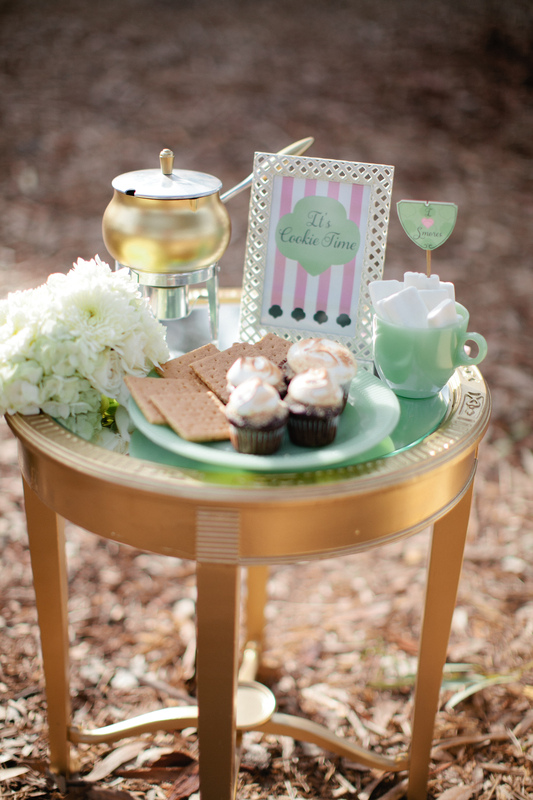 It was perfect and we couldn’t help thinking it would make an amazing sweetheart table too! 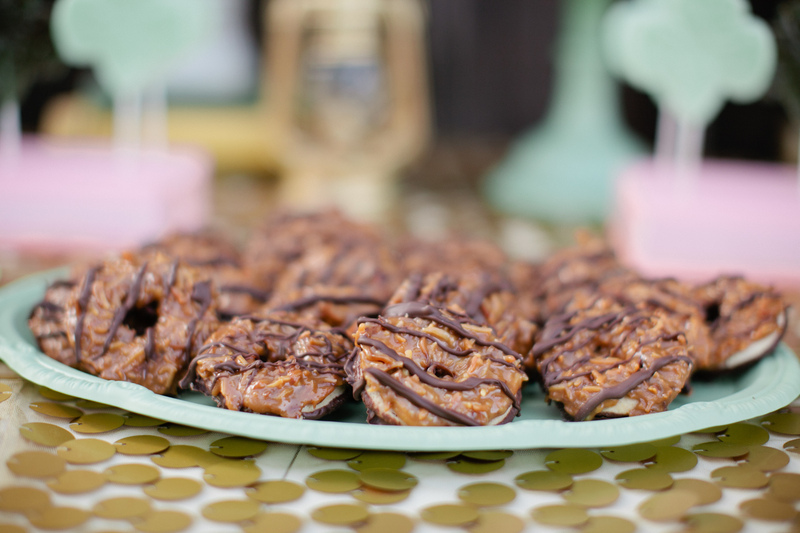 Let us remind you that it was not Girl Scout cookie season when we did this shoot and there were no Samoa’s to come by! Luckily, the kind people of VG Donuts & Bakery helped us create these delicious homemade versions of the cookie. 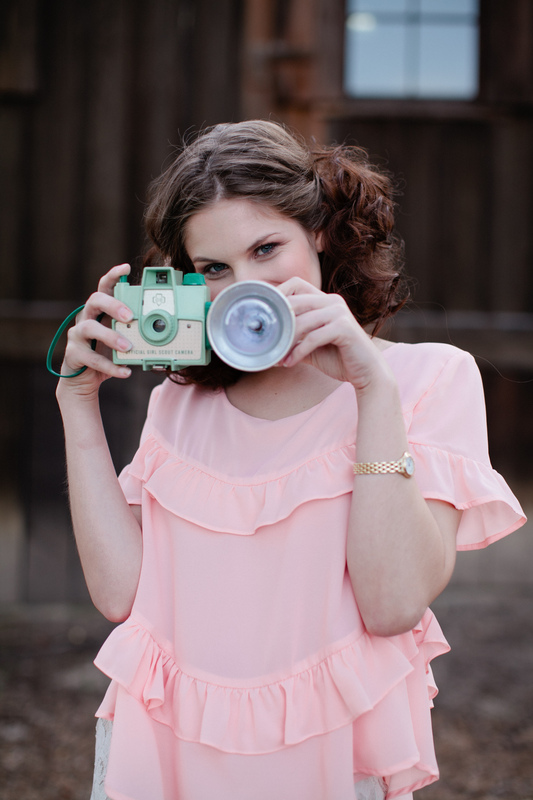 Still obsessed with the vintage Girl Scout camera we scored on ebay! Too cute for words…. Big thanks to our wonderful models! We adore you for braving that cold December day and rocking it in the spring outfits we put you in!